I did a search and read through 20 thread topics and wasnt able to get this figured out. Anyway heres the issue. I finally decided to add some subs and amp to my 99 accord. Im running an 8 gauge amp wire. Ive installed a lot of these and normally have had cars with the battery on the drivers side, located a grommet and had no issues. On my 99 sedan the battery is on the passenger side. 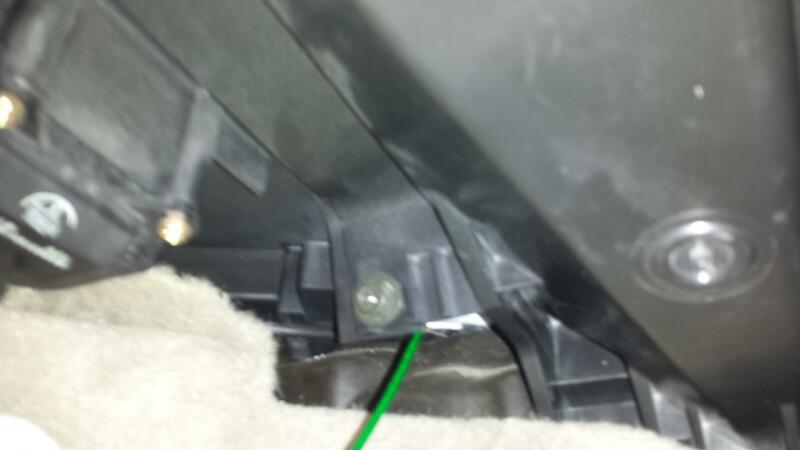 I quickly found what I thought would be the perfect grommet almost directly under the under hood fuse box (see pic), but after several hours trying all the tricks I know I wasnt able to get the wire all the way through. When I first took the grommet out there was first a yellow foam, made a hole through that, then behind that was a rubber layer, punched through that easily, but then I ran into hard plastic. 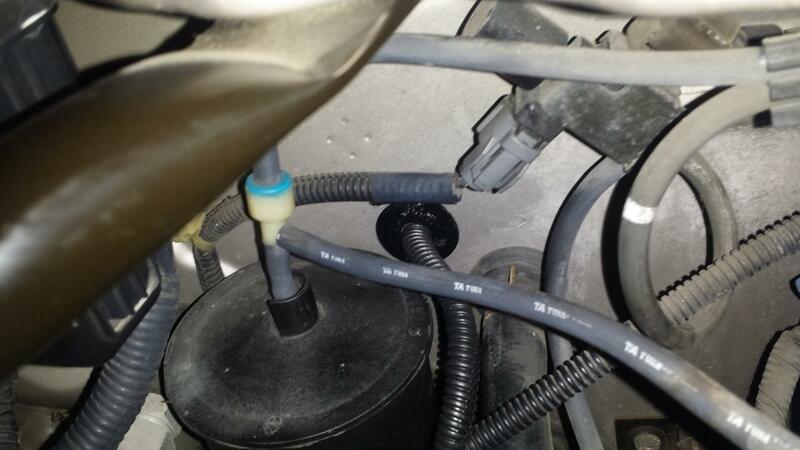 I think its the cabin air filter housing, but Im not sure. But since it was hard plastic, and I wasnt sure what it was I didnt want to punch a hole in it. I was able to get a hanger to go about a foot into the hole while angling it to the right of the hole, but could not locate where it was coming out. I had a lot of the dash taken out, and the glove box all the way out. But still wasnt able to locate the end I had pushed through. I thought about just giving up on that spot and finding another, but really want to use it if its possible since I already started there. Does anyone know what is directly behind that hole that is preventing me from getting any further through? And if that is a usable grommet hole what do I need to do to get through? Im sure if I literally removed the entire dash Id eventually find where it is, but I dont want to get that involved if its not necessary. Anyway thanks for the help. yep, gotta love honda for making the 6th gen a perfect car audio platform. Just wanted to update my thread to let you know I was able to use that grommet under the fuse box that I had originally asked about. After a lot of research Im pretty sure what I was running into was the back of the cab air filter housing. And after looking at the pic from "Keep Hope Alive" that "fjpthree" linked me to I realized the first 2 layers of foam and then rubber were the same on both sides. So that assured me I hadnt damaged anything by digging into that hole. Anyway after a lot of thought and a nights sleep I decided I needed something a little less rigid than a coat hanger, but not as flexible as the amp wire itself. So I decided to go to Home Depot and look around. 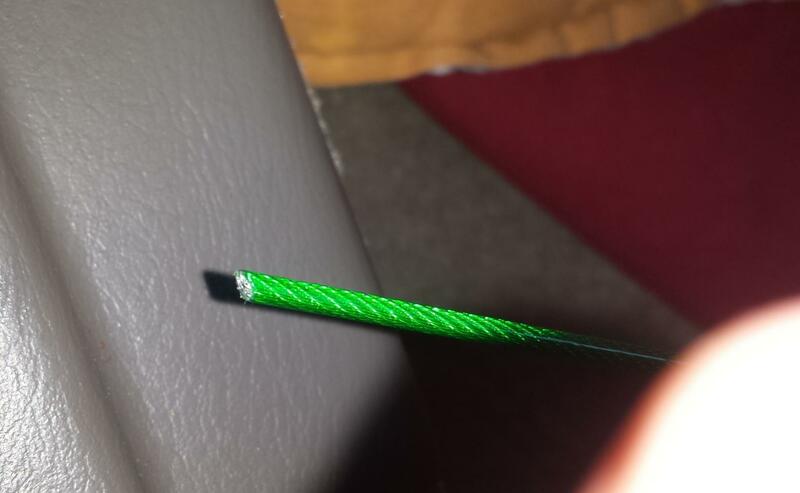 I found some different size and strength Wire Rope, one of which was actually vinyl coated 1/16th. (See Pic). I figured this was just the right tension to be able to continue pushing past any unseen obstacles in the hole, and since it was vinyl coated it was also slicker than the other non coated types I had bought, which would also help. So I got home and started in on it again. After trying different angles to get through the one that ended up working was basically going straight down. I was able to feed it through and it FINALLY popped out the other side, and the green made it even easier to see!! 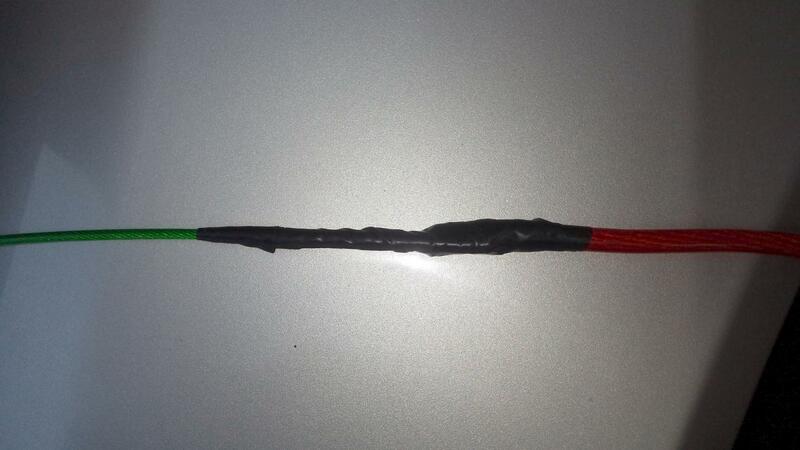 I was then able to tape the amp wire to the green wire and yank it through. Ive attached a couple pics to show this also. Anyway the rest was just basic running wires under the carpet, but thankfully the wiring is finally done. 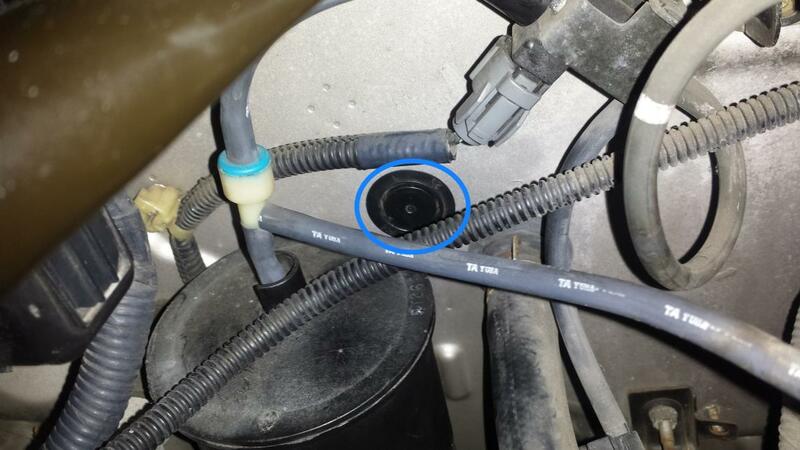 I read a lot of threads of other people trying this same grommet, but switching to the non battery side so I thought I would update this and let people know it is possible to use that grommet under the fuse box shown in the pic. Thanks for all the help. Last edited by Custnam; 08-11-2013 at 09:11 AM. Congrats...you have more patience than I do. Let me know how the total install went. yep, be certain to share the build and anyone can create a build log thread and with enough build/car logs we can create a member section for them. 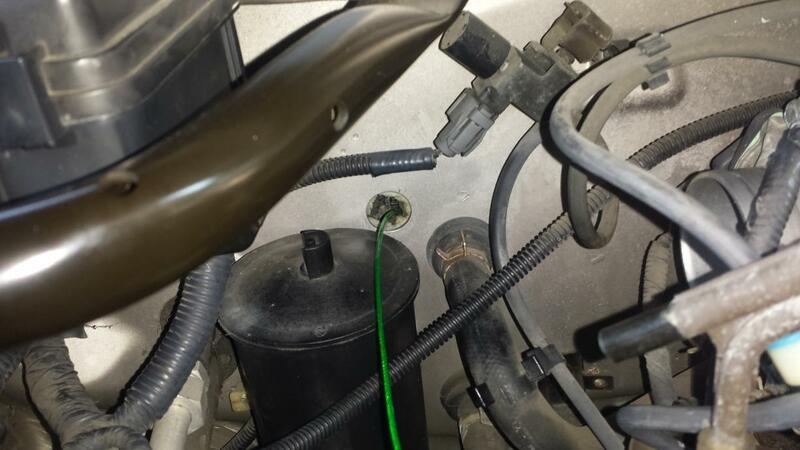 Hi Thanks, GREAT PICTURES, do I have to take the glove box out to push the green cable into the hole through the foam? Will the green steel cable come out in the cabin if i feed it straight down without taking out the dash. Thanks, I am installing a 65 watt 2-way radio amateur tranceiver. For me I had taken the glove box all the way out. Im not sure its 100% necessary, but it will make it easier. You shouldnt have to take apart the dash. It all comes down to trial and error with the angle needed to get it through. It took a long time, but it eventually popped out and I could see it. I wont lie this was a tough job, but having the green slick wire is what made it possible for me. Let me know if you get it. It was a while back when I did this, but I still remember how frustrated I was. But I also remember how elated I was when it finally went through!! Need help running power cord through dash?